Series I bonds have a long history that started amidst the conflicts of World War II. The United States government needed more money to fund the war effort and they turned to the American people for help. By buying war bonds, an investor was lending the government a sum of money. In exchange, they would earn interest on the loan, which would be paid back in a series of regular payments. At the end of the bond term, the entire premium would be repaid. War bonds, or liberty bonds, as they were sometimes called, did not outlast the war. Instead, they were converted into savings bonds, which are still available today. Modern savings bonds come in two types: series EE and series I. Series EE bonds reach maturity in exactly 20 years and double in value during that time. After maturity, they continue to earn interest, giving investors an additional decade of payments. Series I bonds, on the other hand, pay two different types of interest, as well as the initial premium, giving investors three ways to cash in on their investment. Why Choose Series I Bonds? 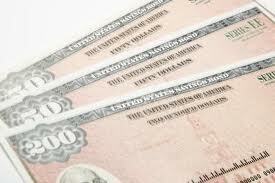 I bonds, like all savings bonds, are some of the most secure investments available. While bonds are often considered to be low risk, government-issued bonds carry even less risk than their corporate counterparts. Because most of the terms are fixed when the bond is issued, there are few things that can go wrong. While a company can become insolvent and find itself unable to repay investors, governments rarely declare insolvency. A series I bond pays two types of interest. The first type is a fixed rate interest that is decided by the treasury at the time of issue. The second type is a variable rate interest that is adjusted for inflation every six months. This means that I bond holders have the best of both worlds. With series I bonds, you get the security of the fixed rate interest payments as well as the growth potential of the variable rate payments.